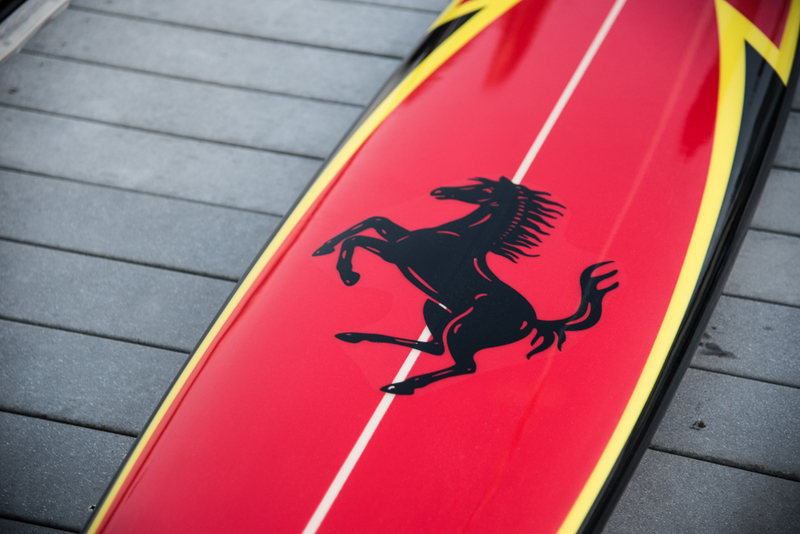 As one of our first designs, we wanted to capture both the automotive heritage of Ferrari as well as the classic surf style. We came together designing a "gun" style surfboard with a glassed in fin. For the graphics, we wanted a classic red or yellow board with black/yellow or black/red "lightning bolt" rails running up the side. 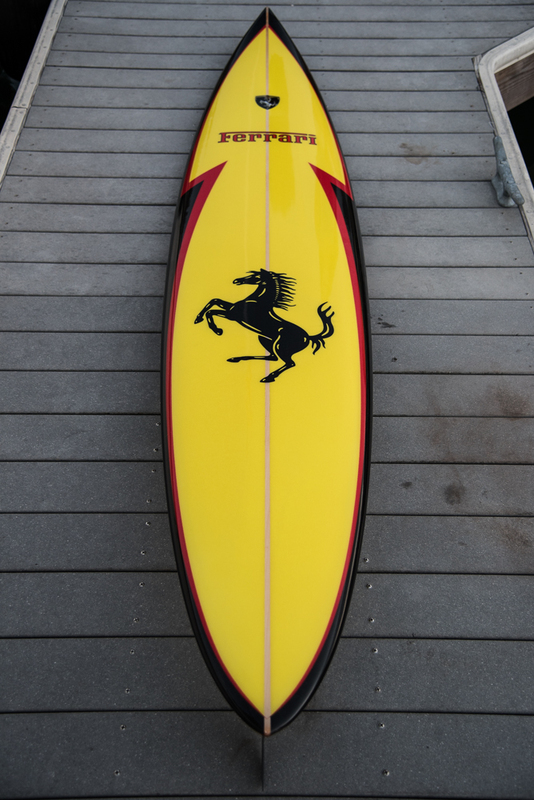 Featuring the Ferrari insignia on both the front and the back, this board can be displayed vertically or hung horizontally. 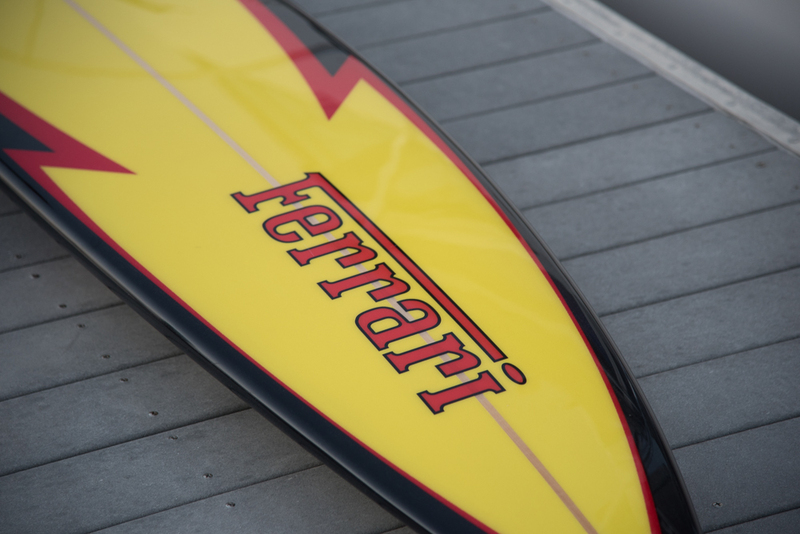 As all of our boards, we inlayed an authentic Ferrari badge into the top deck by the nose. Rose your hand across this and it feels as smooth as your car's paint. Check out the gallery below of this design.